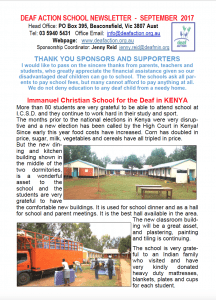 Deaf Action (ABN 81 692 219 423) is the aid and development arm of Deaf Ministries International, working to break the cycle of poverty and discrimination faced by the deaf around the world. As a registered Public Benevolent Institution and is being endorsed as a Deductible Gift Recipient (DGR), donations of $2 or more are tax deductible. 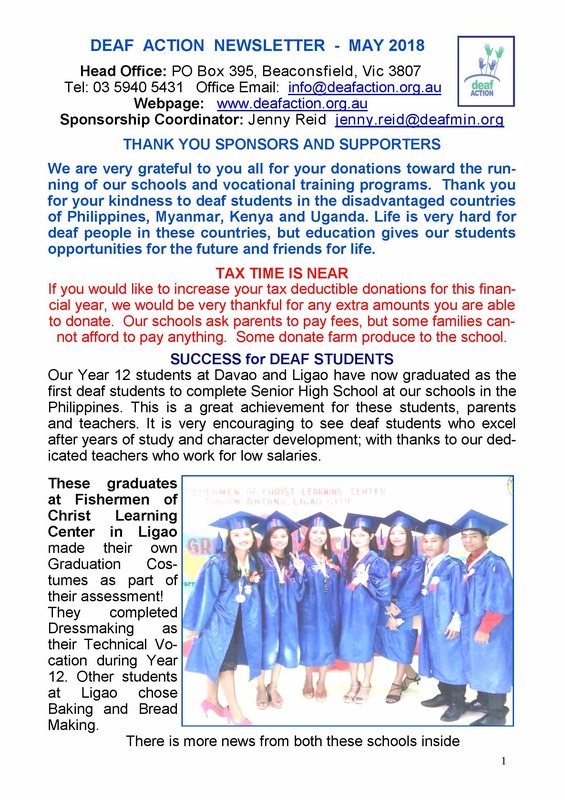 All funds donated to Deaf Action are used to provide benevolent relief to deaf individuals through the projects supported by Deaf Action. While Deaf Action’s work is motivated by our Christian beliefs, Deaf Action does not evangelise, nor do we discriminate against those who do not share our world view. Deaf Action works with deaf individuals from all cultures and religions. 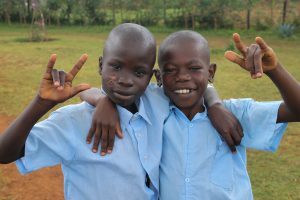 Funds donated to Deaf Action are used to support education and self-help projects for the deaf in places where there are very limited education and employment opportunities for the deaf. 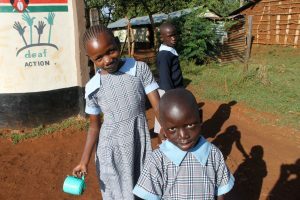 These projects are helping the deaf to escape the cycle of poverty and make a positive contribution to the wider community.